15 oz. double wall stainless thermal insulated vacuum mug. 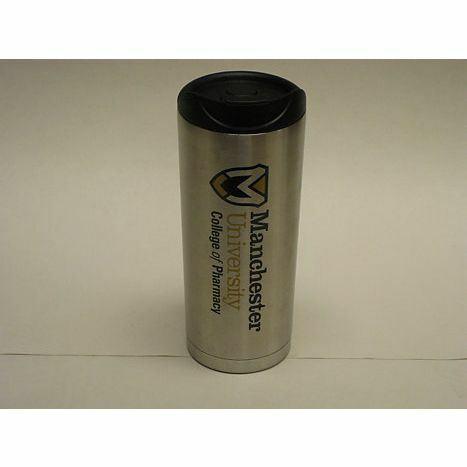 Threaded snap-fit drink thru lid with Manchester University College of Pharmacy logo on it.